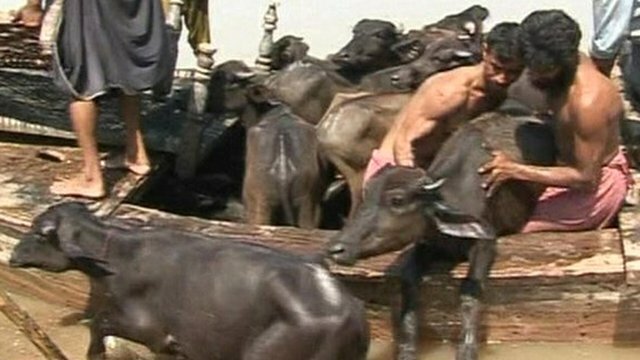 Disease fear for flood-hit Pakistan Jump to media player The UN Secretary General, Ban Ki-moon, is due to visit flood-stricken Pakistan. 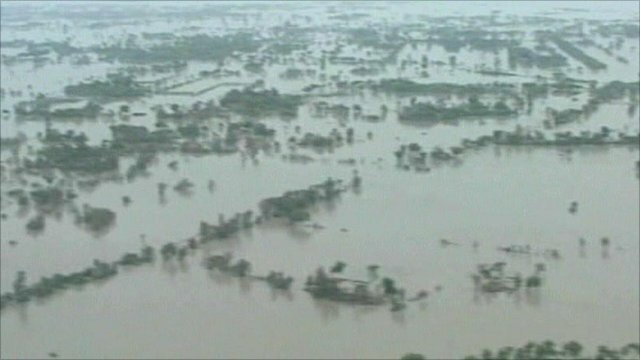 Pakistan says 20m hit by floods Jump to media player Pakistan's Prime Minister Yusuf Raza Gilani says 20 million people have been affected by flooding, a much higher figure than UN estimates. 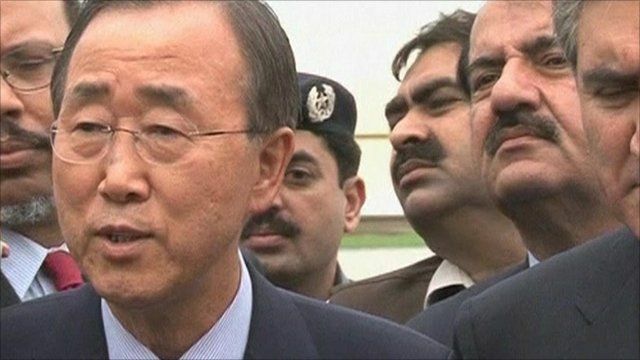 UN Secretary General Ban Ki-moon has urged the world to speed up aid to Pakistan. He was speaking as he arrived on a visit to the country, which has been devastated by floods.